Mangalore allies the Arabian Sea and the Western Ghats perfectly. Also known as the port city of Karnataka, Mangalore is well known for those filmy coconut palms, winsome beaches and of course for the multi-cultural experience it provides its visitors. A city with a pleasant climate, it has a colossal number of temples and churches each with eye-catching architecture and artisan work. Visit various temples and churches including the Mangaladevi Temple, St Aloysius Chapel, Milagres Church, Dargah of Hazrat Shareef UL Madni at Ullal, Kadri Manjunatha temple, the Rosario Cathedral and the Zeenath Baksh Jumma Masjid in Bunder and you would have a life time of experience and pictures. And when you hear the beach call, head to Panambur, Ullal beach, NITK beach, Tannirbavi, Someshwara beach, Sasihithlu beach, Batapady beach, and Kotekar beach. 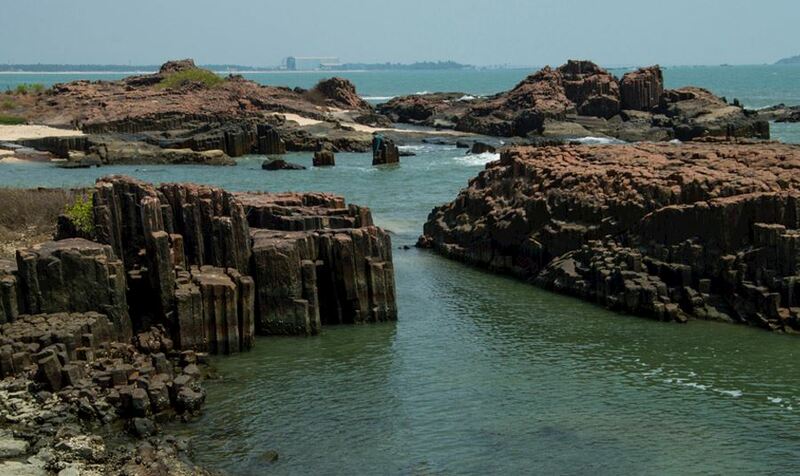 Panambur and Thannirbhavi beaches are known to attract tourists from all over the world. Mangalore is prominent not only for its Udupi style dishes and ice creams but also famous for the staple seafood preparations. If you are visiting Mangalore, you must try out Neer Dosa, Mangalorean fish curry, Cashew Upkari, Rasam, Kane, Ole Bella, export quality cashews and extracted freshly brewed coffee in Mangalore. Don't forget to treat your taste buds with famous desserts like Mangalorean Parfait Ice-cream. Ah, the three flavoured Halwa and the savoury fruit juices will surely make your day. Mangalore also has a great touch of Catholic cuisine with the clout of Mangalorean, Goan and Portuguese food styles. When you feel shopping while you stay in this multicultural city, explore the Central Market, City Centre Mall, Balmatta, Lalbagh, and Hampankatta for window shopping as well as some amazing deals. All sorted? Then pack your bags and be ready to explore this coastal multicultural city of Karnataka.